Why are people with HIV considered “older adults” in their fifties? One in six new HIV diagnoses in Europe occur among people over 50 years of age. As in the general population, the aging process is not homogeneous among older adults with HIV, and some of them exhibit impaired physical function, higher frailty and more frequent geriatric syndromes. These illness reflect a higher biological age independently of their chronological age. After starting antirretroviral treatment, people living with HIV (PLWH) older than 50 exhibit a poorer immunological recovery than younger PLWH. Moreover, older adults with HIV present early onset of comorbidities and functional impairment caused by persistent and chronic activation of the immune system, which leads to immune exhaustion and accelerated immunosenescence despite optimal suppression of HIV replication. The evidence of poorer immunological response to ARV, linked with early immunosenescence in PLWH and its prematurely deleterious effect in physiological functions and its clinical consequences, are the basis to accept the cut-off of 50 years of age to define an “older adult with HIV”. Since the introduction of highly active antiretroviral therapy (HAART) in 1996, the course of HIV disease has been significantly modified thanks to longer survival rates and improved quality of life . Moreover, the number of new infections diagnosed among older persons is increasing; in fact, one in six new HIV diagnoses in Europe are people over 50 years of age. Such a statistic represents a total of 14% of new cases with an annual increase of 2% in this age group , and it is expected that in 2030 almost 40% of them will be older than 65 years of age . Therefore, the proportion of older people living with HIV (PLWH) is greatly increasing, with a life expectancy approaching that of the general population in which the main causes of mortality and morbidity are related to malignancies, cardiovascular and renal diseases and metabolic complications [4, 5, 6]. In the general population, older age is generally defined at 65 years of age in relation to retirement from active working life and its associated changes in adulthood. However, this definition is arbitrary because there is no general agreement on the age at which a person becomes old. The common use of calendar age to determine the threshold of old age assumes an equivalence between chronological and biological age, but they are not synonymous because aging is not a homogeneous process. Some people reach old age independent of assistance and with most faculties intact, while others suffer from diseases and deficits that seriously impact their quality of life. People with a similar chronological age have different biological functions. These inter-individual differences make chronological age an unreliable index to use when measuring vitality, mental or physical function and longevity . However, from a scientific and practical point of view, it is necessary to establish cut-offs that allow us to study population groups with similar characteristics between them and variations from others (e.g., such as older PLWH). Similar to the general population, aging is not homogeneous among PLWH. In addition, previously published data reveals an increased biological age in HIV-infected versus non-HIV-infected individuals, even if viral replication is suppressed . Moreover, PLWH is a population group with an increased prominence of age-related comorbid illnesses with respect to the non-HIV population . Furthermore, these comorbidities appear early and include higher rates of functional impairment and geriatric syndromes such as frailty, which may become up to twice as prevalent in comparison to non-infected individuals who are 10 years older [10, 11, 12]. Thus, the identification of patients who are at risk for unhealthy aging has become relevant for the care of older adults with HIV. Chronological age is defined as the number of years a person has lived. Adults of the same chronological age have different risks for age-associated diseases. Biological age, also referred to as physiological age, takes genetic heterogeneity, functional status and many lifestyle factors into consideration. Consequently, it varies among individuals and could markedly differ from chronological age. Although higher chronological age is a major risk factor for functional impairments, chronic diseases and increased morbidity, some people are “biologically young”, and they are living into older age with good health and active lifestyles . An important effort has been made during recent years to properly identify the accuracy of various biomarkers of aging. Some molecular and cellular hallmarks of biological age have developed, and the crucial relation between epigenetic alterations and cellular dysfunction associated with the aging process has been demonstrated. The most important epigenetic mechanisms include DNA methylation at very specific sites in the genoma, histone modifications and noncoding RNAs [14, 15]. The epigenetic clock developed by Horvath is currently the most promising biological age predictor in blood and tissues . Various works based on the epigenetic clock have specifically evaluated the relationship between epigenetic age and age-related adverse outcomes beyond chronological age, known genetic factors, lifestyle or traditional risk factors [17, 18, 19]. More recently, Horvath and colleagues published a meta-analysis of 13 different cohorts that included a sample size of 13,089 individuals from three racial/ethnic groups (non-Hispanic whites, Hispanics and African Americans) to confirm the ability of the epigenetic clock to predict all-cause mortality and to evaluate the association between epigenetic age and longevity. They hypothesized that epigenetic age captures some aspect of biological age and the resulting susceptibility to disease and multiple health outcomes . Regarding the HIV population, some investigators used the epigenetic clock to measure age acceleration even though the HIV infection was under control. Gross et al. investigated the impact of chronic HIV infection on aging by performing a global analysis of the whole-blood DNA methylomes of 137 HIV-positive individuals under a stable antiretroviral treatment and comparing them with those of 44 matched HIV-negative individuals. These authors found that both chronic and recent HIV infections lead to an average aging advancement of 4.9 years and a 19% increase in expected mortality risk. In another study with participants from the Veterans Aging Cohort Study, Nelson et al. assessed the difference in DNA methylation among antiretroviral treatment in (ART)-naïve, HIV-positive and HIV-negative individuals and found that the DNA methylation age was 11.2 years higher in HIV-positive individuals than in HIV-negative ones. Moreover, Horvath and colleagues  have shown that HIV infection leads to an increase in the epigenetic age of brain tissue (7.4 years) and blood (5.2 years). A recent study published by Levine et al. already determined an association between an HIV infection with neurocognitive disorders (HAND) and higher biological age. The most important studies that use DNA methylation to assess a higher biological age is associated with HIV infection are shown in Table 1. But how can we take into account biological age and age acceleration in daily clinical practice? As far as we know, functional impairment, frailty and other geriatric syndromes can independently predict mortality and are commonly used to identify vulnerable older adults. These conditions are already described at relatively young ages in adults living with HIV even when it is virologically suppressed [11, 24]. Moreover, there are few published data from general population-based cohorts that show an association between the age acceleration measured by DNA methylation with the frailty phenotype and impaired physical function. Marioni and colleagues  performed cross-sectional correlations between age acceleration and cognitive ability, walking speed, lung function and grip strength concurrently measured in 1492 adults at age 70 and older. The correlations between greater age acceleration and poorer lung function performance, cognition and grip strength measures were significant. Similarly, in another study assessed by Bellizzi  authors found a correlation between DNA methylation levels and the frailty status in middle/advanced-aged subjects but not between DNA-methylation levels and age. 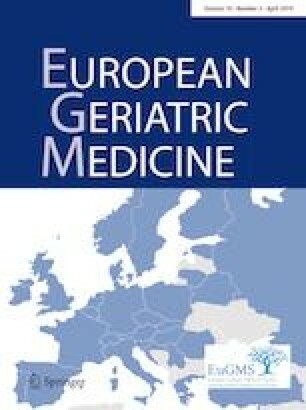 Therefore, the presence of frailty, impaired physical function and geriatric syndromes could constitute clinical markers of accelerated biological age that are easy to measure in a clinical follow-up. Implementing a more geriatric approach in the evaluation of PLWH could allow us to develop specific programs, and thereby avoid future adverse events and disability in this population. During the first years of the HIV epidemic, most people were infected at young ages and the mortality rates were devastating. Consequently, assessing “older age” in PLWH was irrelevant. We are currently in a period in which the proportion of older people living with HIV is increasing, thereby reflecting a life expectancy that is close to that of the general population, but with higher rates of age-associated comorbidities and impaired physical function [9, 11, 12, 27, 28]. As a result, it has become progressively crucial to define “older age” in this population. For the first time in 1998, the Centers for Disease Control and Prevention (CDC) published a review of HIV infection in people in their fifties. It identified them as a “special group” because it was uncommon to find PLWH in that age category . At this moment, the cut-off of 50 years was adopted to define an “older adult with HIV” in the majority of the investigations that referred to HIV infection, although it was arbitrary and lacked any strong evidence supported by clinical studies. Since that time, there has been growing data that demonstrated a lower immunological response in PLWH older than 50 years after starting antiretroviral treatment in comparison to younger patients, despite similar virological response and adherence to treatment rates [30, 31, 32, 33, 34, 35]. An important study designed to identify an age cut-off to define “older adult with HIV” was published in 2012 . Blanco and colleagues included 3523 HIV-infected patients who started antiretroviral treatment (ARV) during the span of time between 2004 and 2009. The patients were recruited from a large prospective, hospital-based multicenter cohort with an aim to assess the impact of the age at ARV initiation as a predictor of the immunological and virological response, as well as survival. In this study, the patients were stratified into the following intervals according to their age when they started ARV: < 25, 25–29, 30–34, 35–39, 40–44, 45–49, 50–54, 55–59, 60–64, 65–69, and 70 years or older. The impact of age on the time to immunological response, virological response, and death from any cause was assessed using Cox proportional hazard models. The authors found a decrease in immunological response when age increased, with the patients who were older than 50 less likely to achieve a complete immunological response, even though their adherence to treatment and virological response rates were similar to those of younger patients. Moreover, beyond the poorer immunological recovery in PLWH older than 50, the authors of this study and other parallel investigations demonstrated that being 50 or older is also one of the variables that determines the survival of patients with HIV infection, with the main mortality causes unrelated to HIV [6, 37, 38, 39]. PLWH have a higher than expected risk for a number of complications typically associated with aging (e.g., diabetes, cardiovascular disease, cancer, liver disease, and neurocognitive impairment) [5, 9, 40, 41, 42], including functional impairment, frailty, sarcopenia and geriatric syndromes that occur earlier in HIV-infected individuals than their non-infected counterparts [10, 11, 12, 43]. The early onset of comorbidities and functional impairment among PLWH is based in the evidence that, despite optimal suppression of HIV replication after starting ARV, there is persistent and chronic activation of the immune system leading to the release of inflammation mediators. This immune activation arises from the persistent gut microbial translocation, sustained chronic antigenic stimulation, low-level HIV viremia, and coinfections by persistent pathogens. Constant stimulation of the immune system activates some of the changes to the adaptive immunity that are seen in the very old and leads to immune exhaustion and accelerated immunosenescence. HIV-associated inflammation and immunosenescence are directly related to the premature onset of other end-organ diseases [44, 45, 46, 47]. The evidence of poorer immunological response to ARV, linked with early immunosenescence in PLWH and its prematurely deleterious effect in physiological functions and its clinical consequences, are the basis to currently accept the cut-off of 50 years of age to define an “older adult with HIV”. In summary, PLWH are aging and showing an early increased number of health-adverse events as a consequence of constant immune activation, greater defects in innate and adaptive immunity and secondarily premature immunosenescence. If we exclusively consider the management of HIV infection, the impact of the early-aging process might be mitigated if antirretroviral treatment is initiated early, according to a strategic timing of antiretroviral treatment (START) study in which early ART initiation was associated with a significant reduction of health-adverse events . In this study, however, the older adults with HIV were underrepresented, so more data are needed regarding a prompt initiation of ARV in this age group of patients. Similarly to the general population, the aging process is not homogeneous in adults with HIV, and some of them exhibit impaired physical function, higher frailty status and more frequent geriatric syndromes. These reflect a higher biological age independently of their chronological age. Thus, the identification of patients who are at risk of unhealthy aging is crucial to the design of an adult-care program for managing and preventing age-associated diseases in this older HIV-positive population. The geriatric approach overcomes our standard of care because it includes medical and nonmedical evaluations highlighting functional capacity and quality of life. We propose including a routine geriatric assessment of PLWH older than 50 years to detect early the presence of geriatric syndromes and implement specific approaches to avoid future adverse events and disability in these patients. MSC has received honoraria for the following: speaking at symposia organized on behalf of MSD, ViiV Healthcare and Gilead. FBB has received honoraria for the following: research grants from MSD, speaking at symposia organized on behalf of MSD and ViiV Healthcare; developing educational materials for MSD; and board membership from ViiV Healthcare. JDA has no conflict of interest. FD has no conflict of interest.